This post was originally posted on the Kluwer Competition Law Blog. It is re-posted here with thanks. When the EU leaders agreed on the final version of the Lisbon Treaty, one particular amendment caused turmoil in the European competition law community. The Lisbon Treaty repealed the 50-year-old commitment to “undistorted competition”, embedded in the fundamental provisions of the EC Treaty (Article 3(1)(g) EC), and moved it to a Protocol annexed to the Treaties. French president Nicolas Sarkozy secured the change. The suppression of the reference to undistorted competition originated in the aborted Treaty on a Constitutional for Europe, which for the first time expressed competition as an objective in its own right (rather than an activity). 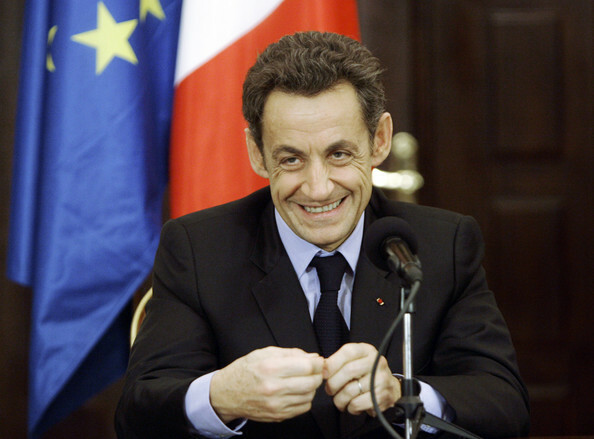 Sarkozy opposed, arguing that the belief in the merits of competition had become dogmatic. Following the negotiations leading to the Lisbon Treaty, he triumphantly declared: “we have obtained a major reorientation of the objectives of the Union. Competition is no longer an objective of the Union, or an end in itself, but a means to serve the internal market” (my translation). The European Commission defiantly responded that an objective that never existed could not be lost: the Lisbon Treaty merely affirmed the status quo (see MEMO/07/250) . Nonetheless, several commentators feared that the replacement of Article 3(1)(g) EC, in substance, by an obscure protocol would downgrade the constitutional status of the competition rules within the EU legal order. In a judgment delivered this week, the Court of Justice of the European Union (CJEU) allayed the worries of the scaremongers. The new catalogue of aims contained in Article 3 TEU simply states: “the Union shall establish an internal market”. The Treaties no longer make reference to the principle that the internal market includes a system ensuring that competition within the internal market is not distorted. The principle only appears in the Protocol (No 27) on Internal Market and Competition: “the internal market as set out in Article 3 of the Treaty on European Union includes a system ensuring that competition is not distorted”. According to Article 51 TEU, protocols form an integral part of the Treaties. The legally binding nature of the protocol was therefore undisputed. Many commentators, however, rightly pointed out that the EU courts frequently relied on Article 3(1)(g) EC as interpretative guidance to support an expansive reading of the competition rules as fundamental provisions essential for the accomplishment of the Treaty objectives. Most famously, in Continental Can (Case 6/72) , the CJEU explicitly referred to Article (3)(1)(g) EC as a requirement “so essential that without it numerous provisions of the Treaty would be pointless”. Accordingly, the Court supported the Commission’s attack of a merger on the basis of Article 102 TFEU – long before the adoption of the first Merger Control Regulation. The fear was that the removal of commitment to “undistorted competition” from the interpretative provisions of the Treaty could inform the EU courts to depart from the pre-Lisbon case law. Surely a protocol could not achieve the same interpretative status as the preamble and the first few Treaty articles? The resolution of this debate required the CJEU to rule on the status of the Protocol on the Internal Market and Competition. In another recent judgment, Teliasonera (Case C-52/09) , the CJEU also read the substantive content of the Protocol together with the objective of establishing an internal market set out in Article 3 TEU –authenticating the interpretative value of the Protocol. In the present judgment, however, the Court goes one step further. To emphasize the seriousness of Italy’s infringement, the Court affirms that the requirement of undistorted competition belongs to the fundamental principles of the economic constitutional law of the EU. The French coup is a momentous reminder of the political opposition competition policy can attract. Yet, so far, the excise of Article 3(1)(g) EC seems to be no more than symbolic. This entry was posted in Case Comments by eutopialaw. Bookmark the permalink.